Seoul-headquartered Woori Financial Group has acquired China-based Anbang Insurance Group’s local asset management subsidiaries in South Korea — Tongyang Asset Management and ABL Asset Management. The Korean financial institution has paid W123 billion (US$107 million) for a 73% stake in Tongyang Asset Management to Anbang-owned Tong Yang Life and around W47 billion for 100% of ABL to Anbang Asset Management. Woori Financial signed a share purchase agreement for the two asset management companies on April 5. Anbang Insurance Group has been in the process of trying to sell assets since it was taken over by the Chinese regulator; the firm owns a string of assets, including several flagship buildings in New York, which have the potential to regain a large amount of the money. In February, China’s Banking and Insurance Regulatory Commission extended its control of Anbang until February 22, 2020; the news came after speculation that a large strategic buyer was being sought for a chunk of the company. 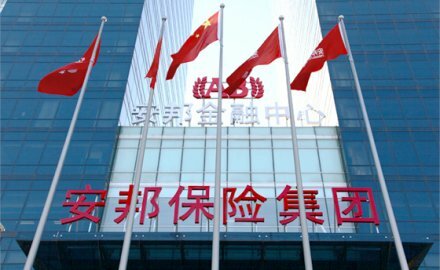 The regulator said it plans to maintain the stable operation of Anbang and protect the interests of all relevant parties. The Chinese government injected Rmb60.8 billion (US$9.65 billion) into the company in April 2018 and will be trying to make sure it recoups its money. For more about Anbang see here.